The pilot told first-responders he misjudged his landing, attempting to come in too low, which caused him to hit the top of the tree. 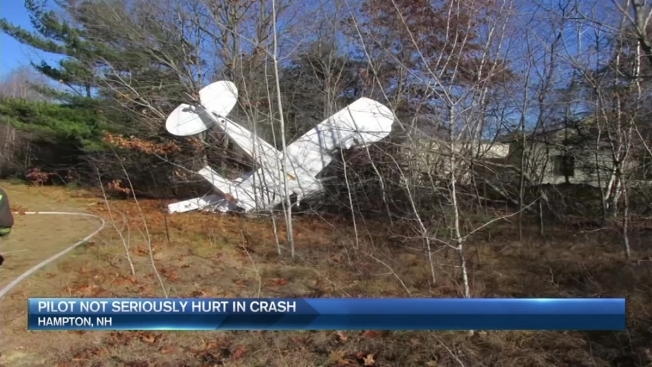 Another crash near Hampton Airfield raises concerns about the New Hampshire landing sight. A 74 year old pilot had a scary landing after he crashed his small biplane into a residential neighborhood on Sunday. The pilot, a man from Newbury, Massachusetts, was attempting to land at Hampton Airfield when he struck the top of a tree. According to Hampton Fire Captain John Stevens, the pilot later crashed in the woods near 7 Reddington Landing. The nose and wings of the plane were very badly damaged but no one was harmed. Former Hampton Fire Chief Chris Silver lives at 8 Reddington Landing and heard the plane hit the tree. He, along with two other neighbors, quickly called for help and go the pilot out of the plane. Ultralight Plane Crashes Into Assabet River in Mass. This was the third crash involving a small aircraft at or around Hampton Airfield in the last three years. Two people died in a crash in 2014 and in 2015 two others were badly injured. Captain Stevens can recall several plane crashes occurring on Reddington Landing during his time living there. Two people died in a crash in 2014 and in 2015 two others were badly injured. Other neighbors also noted that the frequency of plane crashes has increased in recent years. This was the third crash involving a small aircraft at or around Hampton Airfield in the last three years.